Kingdom of Heaven (2005) Bluray 480p, 720p Balian of Ibelin travels to Jerusalem during the Crusades of the 12th century, and there he finds himself as the defender of the city and its people. The Ringer (2005) BluRay 480p, 720p A young guy's only option to erase a really bad debt is to rig the Special Olympics by posing as a contestant. Saw II (2005) BluRay 480p, 720p A detective and his team must rescue 8 people trapped in a factory by the twisted serial killer known as Jigsaw. Su-ki-da (2005) BluRay 480p, 720p A high school student named Yu has a crush on one of her classmates, Yosuke. The boy spends most of his time sitting outside and playing his guitar, and Yu sits nearby and listens. One day, however, a terrible tragedy occurs, and the two do not see each other again for many years. Brick (2005) BluRay 480p, 720p A teenage loner pushes his way into the underworld of a high school crime ring to investigate the disappearance of his ex-girlfriend. My Girl and I (2005) WEB-DL 480p, 720p Beautiful student Su-Eun prevents her fellow student Su-Ho to drown in the ocean. Su-Ho however, does not know who saved him, until Su-Eun tells him after a while. The love between them starts to grow, seemingly infinite. But then something terrible happens. Goal! The Dream Begins (2005) BluRay 480p, 720p The extremely talented Santiago Munez is given a chance at professional football, after being spotted by a scout who has ties with Newcastle United. Black (2005) BluRay 480p, 720p The cathartic tale of a young woman who can't see, hear or talk and the teacher who brings a ray of light into her dark world. 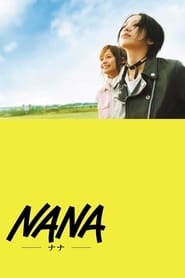 Nana (2005) BluRay 480p, 720p A chance encounter between two girls of the same name, "Nana," triggers a series of events and relationships. Serenity (2005) BluRay 480p, 720p The crew of the ship Serenity try to evade an assassin sent to recapture one of their members who is telepathic. King Kong (2005) EXTENDED BluRay 480p, 720p In 1933 New York, an overly ambitious movie producer coerces his cast and hired ship crew to travel to the mysterious Skull Island, where they encounter Kong, a giant ape who is immediately smitten with leading lady Ann Darrow. Wolf Creek (2005) Bluray 480p, 720p Three backpackers stranded in the Australian outback are plunged in a hellish nightmare of insufferable torture by a sadistic psychopathic local. Lord of War (2005) Bluray 480p, 720p An arms dealer confronts the morality of his work as he is being chased by an Interpol Agent.